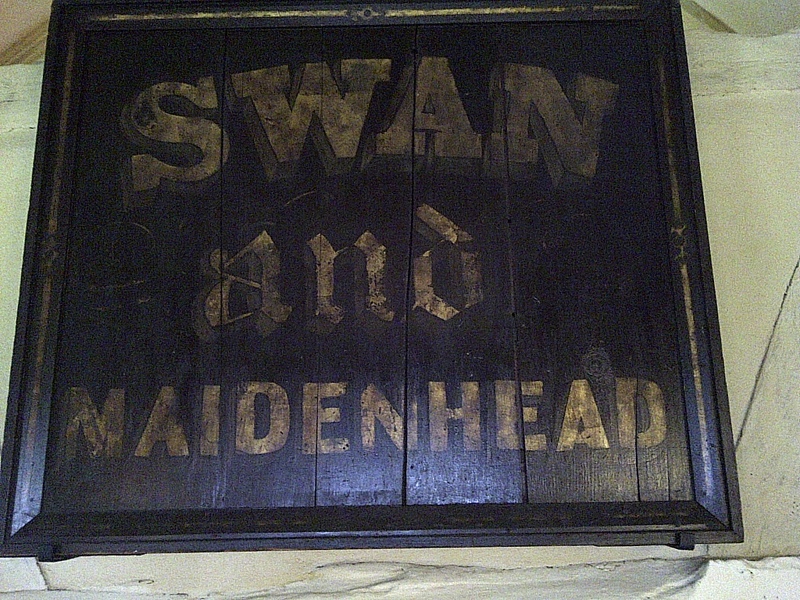 The business sign for the pub “Swan and Maidenhead” which occupied the house after the Shakepeares left. Stratford upon Avon, England. June 15, 2013. On the ENGLAND, SCOTLAND & WALES tour.